Using the plastic batten to produce a smooth curve round the offsets from the mould drawings really works well, and has highlighted 2 or 3 occasions where I had miss-measured or mis typed a dimension, so hopefully we are going to wind up with a fairly fair jig! The game plan is to a few 3/4-inch panel pins into key marks, and then pull the batten round… normally 3 or 4 are enough, and the fact that the batten will normally then automatically align itself with the other poinst marked from the offsets from the plan show wat a good job SFD’s computers do in fairing the design. 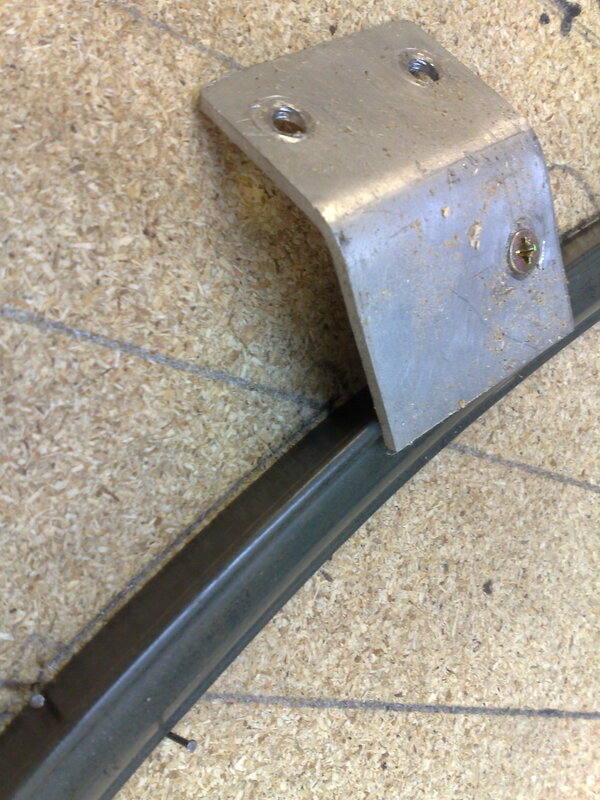 The ally clamps just hold the batten down and stop it jumping out. Then when it’s all in place you just draw round it, pop it out, pull out the pins and break out the jig saw! This entry was posted in Hull Build and tagged frames, moulds, progress, technique on July 12, 2011 by sybefur. exactly Nick – it’s clearly what Selway Fisher’s design programs use in “fairing” the hull moulds – the nice thing was to see that when I dragged the batten onto a few nails located at some of the measured points, all the other measured points co-incided with the batten – providing a deal of confidence in my measurements… In fact in a couple of places where this “natural alignment” did not occur I could trace back to errors in my measurement, or to transcription errors in copying the dimensions from the plans into the spreadsheets which provided the origional blank cutting lists. (Interestingly Spline-fitting also gets used in Microsoft PowerPoint line drawing)….. now the only remaining question is why are the splines on gearbox shafts etc. called “splines”? 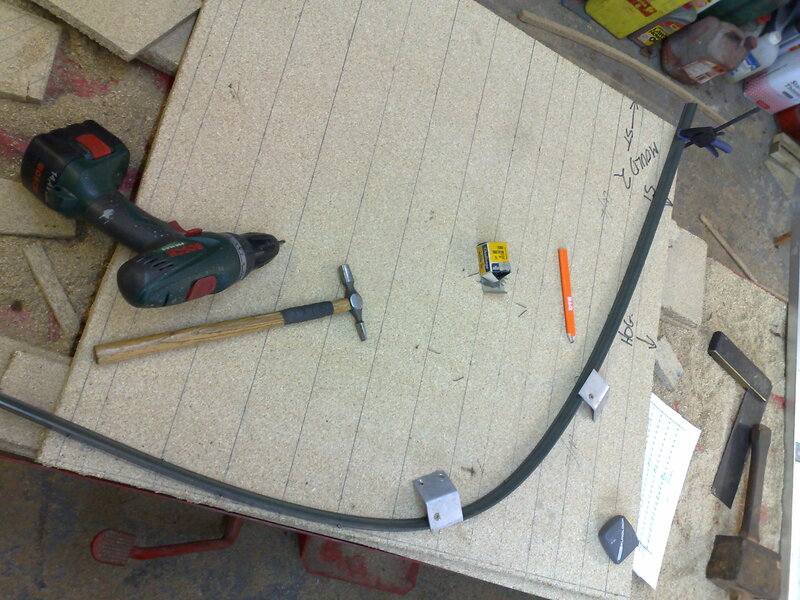 What you are doing with the batten is making a cibic spline. There was an OU programme about road design where the curve should tighten up evenly so there are no surprises. They went into the maths using third derivatives to show how to calculate it- or they said, use a bit of piano wire and some pins….